The year 2004 was one of multiple shocks in football. Werder Bremen won the Bundesliga, Porto won the Champions League, Valencia won the UEFA Cup and LaLiga, while Greece won the European Championships; each prize claimed against all odds. Alongside these was the name engraved on the trophy awarded to the winner of the Copa del Rey, Spain’s premier knockout competition: Real Zaragoza. With Real Madrid at the height of their Galácticos project, Barcelona just two years away from winning the Champions League, Valencia enjoying the greatest season in their history, and Sevilla just about to enter their own golden era, the trophy had been improbably won by Real Zaragoza. But how was this comparably small club from Aragón able to achieve such a feat? Real Zaragoza were founded in 1932, just a few years before the outbreak of the Spanish Civil War. Seven years later, once the fighting had stopped, they were accepted into LaLiga. They spent much of the 1940s yo-yoing between the first and second tiers, and weren’t much more impressive in the 1950s. Things had changed by the following decade, however, and Los Maños were beginning to make a real mark on the Spanish football scene. With an ever-increasing fan base and some quality players, Zaragoza began to challenge in the upper echelons of LaLiga in the 1960s, finishing third twice and in the top five every year until the 1968/69 season. Even more impressively, they won the Copa del Rey twice, then called the Copa del Generalísimo, named after General Franco. In 1964, they defeated Barcelona in the semi-finals before conquering the following year’s winners Atlético Madrid in the final. This gave both the club and the fans belief that success was possible. After defeating Barcelona at the same stage once again a year later, Zaragoza recorded their second Copa success in 1966 by beating Athletic Club 2-0 in the final. In addition, they had also won the 1963/64 Inter-Cities Fairs Cup, beating Valencia 2-1 at the Camp Nou in an all-Spanish final. The second Copa win against Basque giants Athletic in 1966, one of the best teams in Spain and Europe at the time, had many predicting success on an even larger scale for Los Maños. What transpired was a series of extreme highs and lows, something that has remained a feature of the club to this day. In the 1970/71 season they were relegated to the Segunda División, but after bouncing straight back up, they finished third in their second season back. The following season they came even closer, finishing second behind Real Madrid in what remains the club’s greatest ever league season. Madrid proved difficult to chase further, however. Having won the European Cup in the same season, they were by some distance the best team in the country and began to pull away from everyone else. Zaragoza, meanwhile, could not maintain the form that had seen them earn consecutive top-three finishes, and two years later they were relegated again. The 1980s was a more stable decade, with fairly consistent mid-table finishes. The high came in 1986, when they won their third Copa del Rey – 20 years after their second. The Copa was now a much bigger competition, and Zaragoza had to overcome Real Madrid in the semi-finals before facing Barcelona in the final. 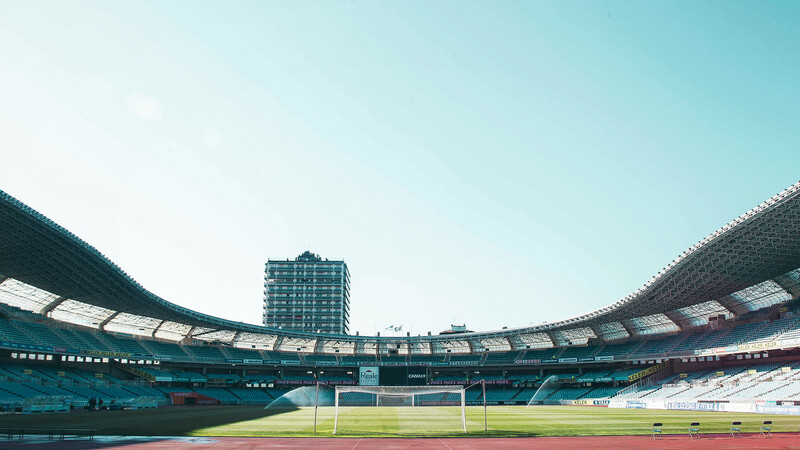 In front of 45,000 spectators at Atlético Madrid’s Vicente Calderón, a single goal from Uruguay striker Rubén Sosa was enough to defeat Terry Venables’ Barcelona. Sosa became a hero in Zaragoza, and the football club was now very much a cornerstone of the city. A few more average seasons followed, but by the start of the 1990s they had begun to emerge as a real force. After defeat by Real Madrid in the previous season’s final, Zaragoza registered their fourth Copa triumph in 1993/94. Having defeated Sevilla over two legs in the quarter-finals, the other Seville team, Betis, were dispatched in the semi-finals. This set up a final against unlikely opposition in the form of Celta Vigo. Once again, the final was played at the Vicente Calderón and it didn’t prove to be an exciting spectacle for the 60,000 spectators present. Celta, with Madrid-bound Santiago Cañizares in goal, did their best to stifle the opposition and held out for 0-0, frustrating the likes of Uruguay international Gus Poyet in the Zaragoza midfield. It went to a penalty shoot-out, and with Celta’s Alejo Indias the only player to miss, the trophy was Zaragoza’s once again. With the likes of Poyet and Argentina international Fernando Cáceres, Zaragoza now had a strong squad. Further success followed the next season, with Los Maños winning arguably the biggest trophy in their history – the Cup Winners’ Cup. Although not held in the same esteem as it once had been due to the establishment of the Champions League a few years previously, the Cup Winners’ Cup victory represented a huge milestone in the history of Real Zaragoza. Having recovered from a first-leg defeat to knock out Dutch giants Feyenoord in the quarter-finals, Zaragoza faced the even larger obstacle of Premier League club Chelsea in the semi-finals. They needn’t have worried, as with an ageing Glenn Hoddle left on the bench for the London outfit, two goals from Real Madrid-bound Juan Esnáider saw Zaragoza steamroll the Blues 3-0 in the first leg. Despite a much improved second leg at Stamford Bridge, Chelsea were unable to claw back the deficit and it was Zaragoza who proceeded to the final to face another London side – reigning champions Arsenal. After a nervy first half at the Parc des Princes in Paris, it was the Spanish side who eventually took the lead in the 68th minute with Esnáider on the mark again. Arsenal, under caretaker manager Stewart Houston, took just nine minutes to hit back with young Wales striker John Hartson scoring the equaliser. No more goals were forthcoming, and so the game went to extra time. Nerves were on display once more, and after 30 minutes of keeping it tight, perhaps the greatest moment in Zaragoza’s long history occurred. With players starting to think about penalties and what it would mean to miss one, a winning goal of the highest quality came from nowhere in the very last minute of the game from, of all people, ex-Tottenham man Nayim. The Spaniard, who had spent five years at White Hart Lane between 1988 and 1993, spotted that Arsenal goalkeeper David Seaman was off his line and proceeded to score an unbelievable lob from around 45 yards in one of the greatest and most timely goals there has ever been in a European final. The Zaragoza squad returned to Aragón as heroes. Many of those who had brought the city the Cup Winners’ Cup were moving on to bigger clubs, but most fans believed that further success was forthcoming. Spirits around the place had never been higher. The closer the 21st century came, though, the greater the importance money was becoming in the game of football. Teams such as Zaragoza were having their best players plucked from them regularly by the top clubs; behemoths like Real Madrid that they could never hope to compete with financially. After that triumph, Los Maños began finding life in LaLiga tougher and produced a string of bottom-half finishes until the turn of the century. For most clubs of a similar size, the increasing gap between themselves and the big boys resulted in increasing apathy amongst fans. With many teams in Spain suffering from falling attendances whilst their team struggled on the pitch, Zaragoza found a different way to deal with their decline by turning to their old favourite competition: the Copa del Rey. 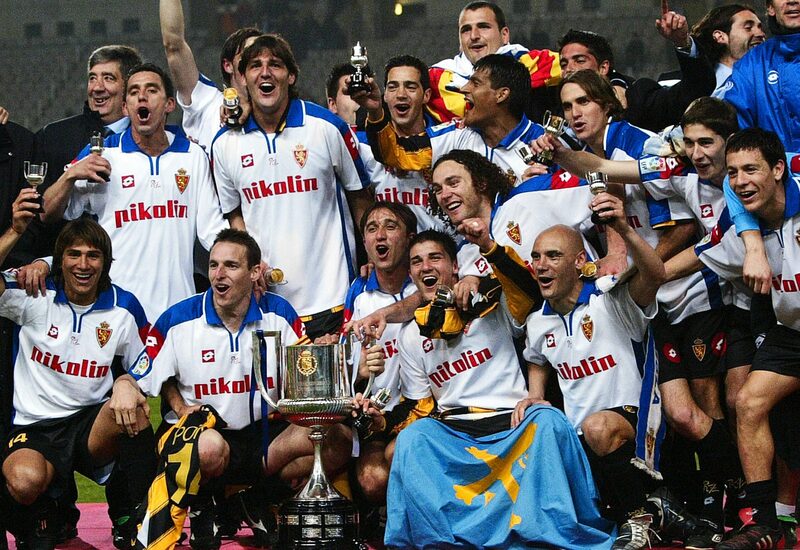 Despite finishing 17th in the league, Zaragoza won their fifth cup title in the 2000/01 season, beating Celta in the final once again. After the strange decision to host the final at La Cartuja in Seville, Celta were ahead after five minutes. Unflustered, Zaragoza hit back with three goals and looked solid defensively for the rest of the game. They may have escaped relegation by the skin of their teeth, but few could argue that they didn’t deserve their Copa triumph. Despite relegation the following season, Los Maños found themselves back in yet another Copa del Rey final in the 2003/04 season. This time the task was much greater, with the opponents set to be the Galácticos of Real Madrid. With the most expensive team of all time up to that point, Los Merengues were taking the final seriously, and few in the Spanish media were predicting anything other than their comfortable victory. What followed was one of the best Copa finals of recent times. 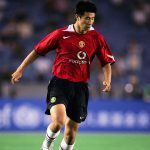 With both sides attacking from the outset, it was no surprise when England captain David Beckham, in his first season in Spain, opened the scoring for Los Blancos. However, Zaragoza hit straight back with Sávio, signed from Madrid at the start of the season, equalising for the side in yellow and black. Madrid may have had the Galácticos, but Zaragoza had a young star of their own. Signed from Sporting Gijón at the start of the season, it was young Asturian striker David Villa who was trusted to step up when Zaragoza were awarded a penalty right on the stroke of half-time. He scored. Another of Madrid’s Galácticos, Roberto Carlos, equalised shortly after half-time as both sides became cautious. Then disaster struck for Zaragoza. Local hero Cani picked up two bookings in as many minutes and was sent off. Operation park-the-bus kicked on, and Zaragoza had no choice but to desperately try and hold out for extra time. To their credit, they succeeded, and matters were levelled out when Madrid midfielder Guti followed Cani down the tunnel for also picking up a second yellow near the start of extra time. Then came the moment that defines recent Real Zaragoza history. After a tight first 10 minutes of extra time, Argentina winger Luciano Galletti popped up to score the winning goal for Real Zaragoza to become an instant hero. Zaragoza had done the impossible; the team from Aragón had beaten the Galácticos – the biggest club in the world. Life hasn’t been as good since for Zaragoza fans. Having spent the 2008/09 season in the Segunda División, they were relegated again in 2013 and are yet to return. 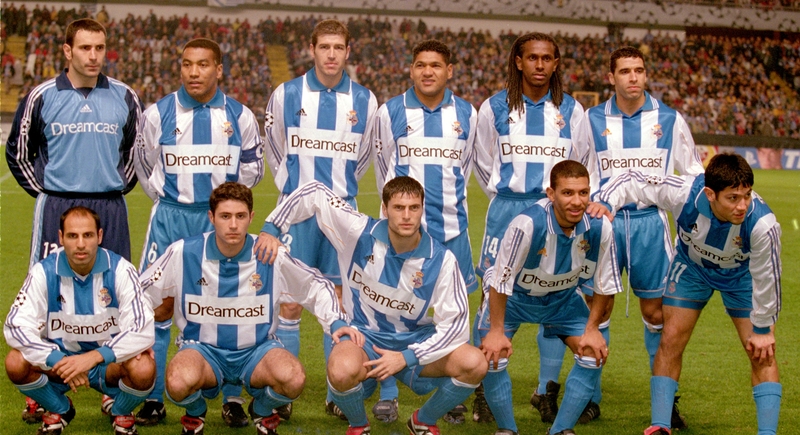 Their playing staff in the last 15 years has included the likes of Gerard Piqué, David Villa, Ander Herrera, Pablo Aimar and the Milito brothers, but few stayed for long. The reality is that, despite being the seventh best-supported club in Spain according to a recent study, Zaragoza don’t have the finances to compete with the country’s biggest clubs in the same way they did in the past. With the second tier now more competitive than ever, it could be a while before we see them back in LaLiga.